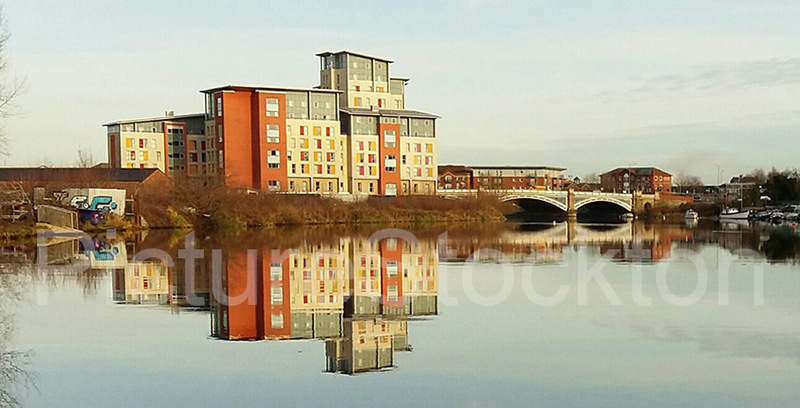 A view of Victoria Bridge and Durham University Colleges accommodation, Rialto Court, Bridge Road. Photograph and details courtesy of Derek Brittain. This entry was posted in Misc Buildings, River, Bridges, Ships and Boats by Picture Stockton Team. Bookmark the permalink.